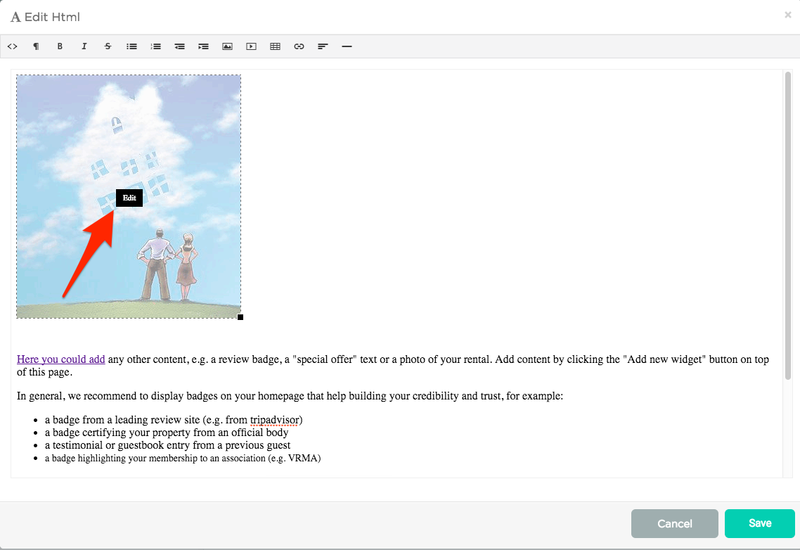 Widgets allow you to customize your website content through pictures, videos, text and many more. Lodgify has a list of standard widgets to edit your custom pages. Many external widgets can be implemented by inserting the respective HTML code into the Raw HTML Widget. In the following, you can find a list of useful widgets for your website. 💡 Note: To learn how to add, edit, order and resize widgets have a look at this article. Call me back Give to your guests the opportunity to ask for a callback! You will receive an email when guests fill the online form. Chat Add a chat widget to talk directly to clients and potentially track visitors to get analytics insights. Choose a chat widget creator such as Tawk.to or GetSiteControl, sign-up and get their code. Give to your guests the opportunity to get in touch with you via an online form which includes their stay dates and the property details. You can either use the Lodgify contact widget or create one on GetSiteControl. 💡 Note: The HTML code from GetSiteControl needs to be inserted in the Footer Section of your Advanced Settings. Add a text box. For example, you may have created a page which is called Nearby restaurants. Use this widget to describe what is good on their menu! Use the editor functions to change fonts, colors, add tables, links, etc. You can also add special content such as videos or photos. If you include an image or a logo, you can use the link function to redirect your visitors to an external page. 💡 Note: Please be sure to give the picture a proper title as it will be used as an alt tag. Upload your image and click insert. Once the image uploads, click it and select edit. A pop-up window appears. Add a title, a webpage link and click Open link in a new tab if you want to redirect your visitors to a new page. Use the Position drop-down menu to position your logo or image. Click Save and edit the size of the image as needed. Highlight your best properties into your pages. You can add more than one property use the drop-down menu and select Add to featured. Highlight your best room into your pages. You can add more than one room: use the drop-down menu and select Add to featured. Heading Add a heading to make your content more prominent. Choose the size of the heading between big, medium and small. Add photos to your pages. 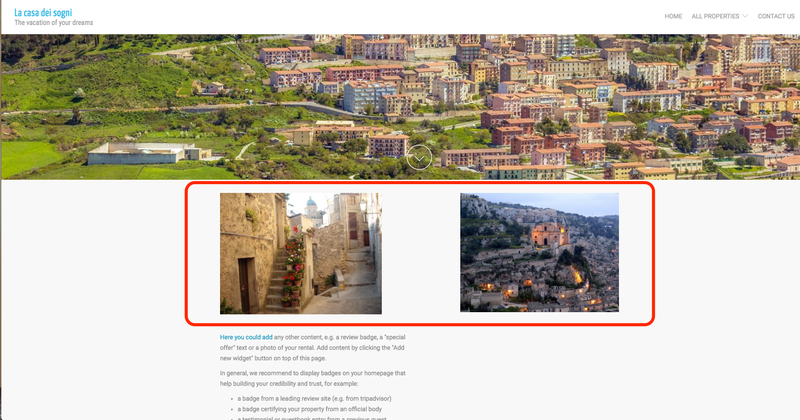 Each upload of a new photo on the same widget overrides the previous one - if you need more than one photo on your page, add more than one Image Widget. Alternatively, choose the Slideshow widget. 💡 Note: If you want to add a link behind the image you would need to use a Content Widget. 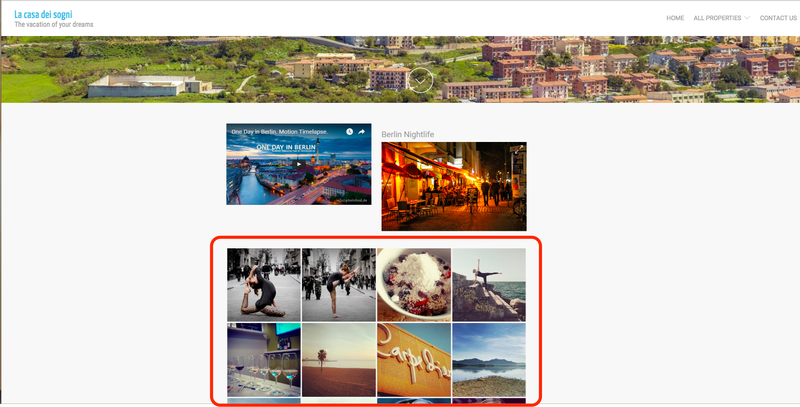 Add an Instagram gallery widget to your pages. Choose an Instagram widget creator such as LightWidget, sign-up and get the HTML code. Insert the code into the Lodgify Video widget. 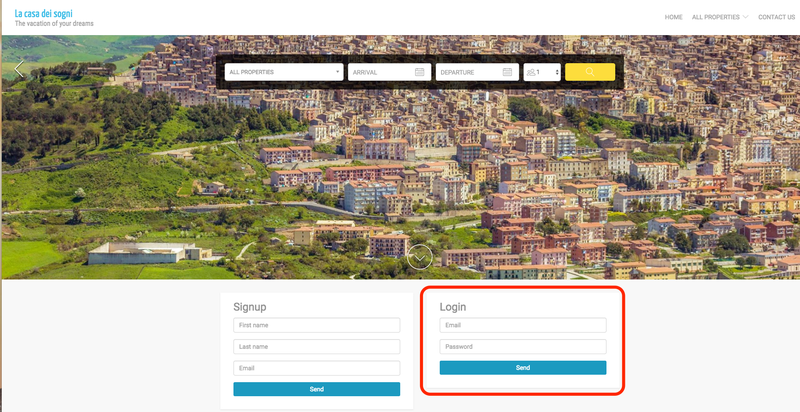 Add an owner login widget box into your pages. 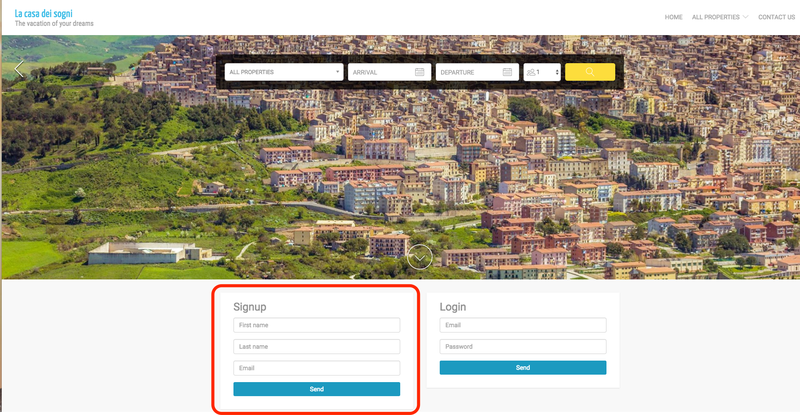 Add an owner signup form to your pages. With this option, external owners (people whose properties are listed on your website) gain direct access to your Lodgify account and can, therefore, manage their vacation rentals. 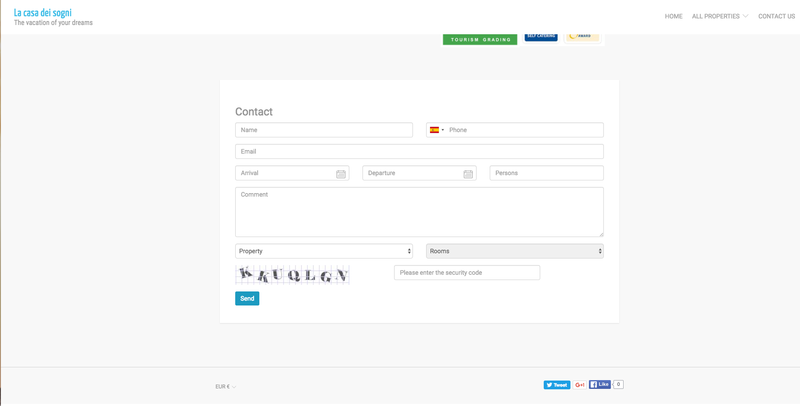 The owner should fill the online form to receive an automatic email and verify their account. The owner should click on the verification link provided via email, fill all required information such as creating a new password and click Send. 💡 Note: Find out how to add owners manually. 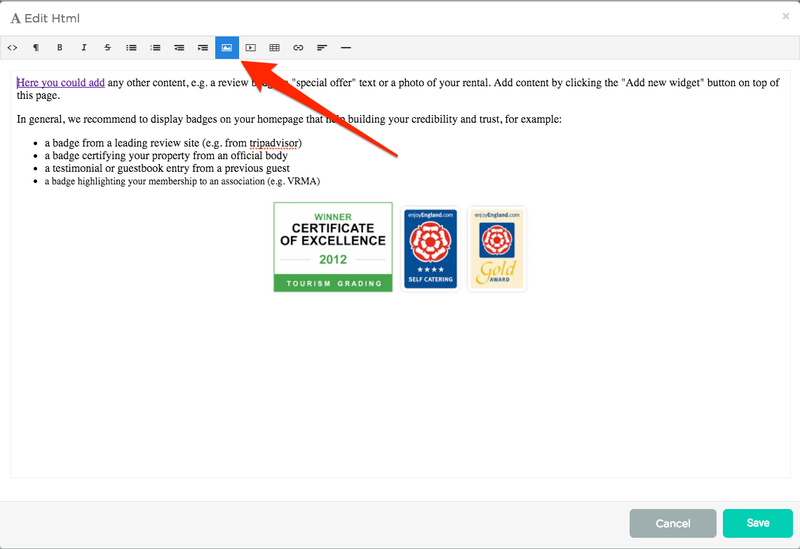 Add a promotion form to your pages. Use the drop-down menu to choose one of the promotions you previously created. See how to Create Promotions. 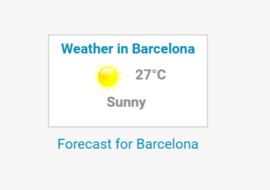 Use HTML code to add personal or external content to your pages, for example, a weather forecast widget. Use an HTTPS protocol when inserting code into the Lodgify console. Read more. Test your codes to avoid creating issues with your websites. Use online tools, such as the HTML tester. Add a property search bar into your pages and enhance your chances to get bookings. Share Add a share widget to your pages so that guests can easily share your website via email or social media channels. Use a Widget creator like GetSiteControl to create the HTML Code. 💡 Note: The HTML code from GetSiteControl needs to be inserted in the Footer Section of your Advanced Settings, not in the Raw HTML Widget in your pages section. Add an alternating photos box to your pages. You can add a headline which will appear at the top of the slideshow widget. Add a video box to your pages. You must paste the embed code from your video provider. Add a 360° tour to a custom page. Choose a 360° content creator such as Google 360. Once the tour is finished, copy the embed code and insert the code into a Lodgify Raw HTML widget. 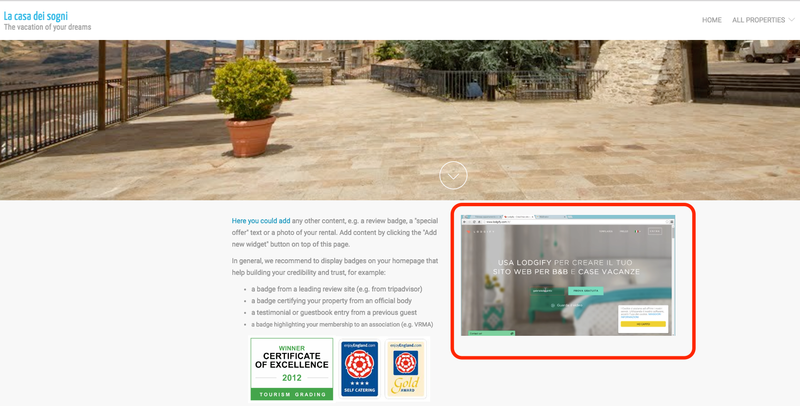 💡 Note: If you don't have an embed code, save the tour on an external platform and insert the external link in an image or text of a Content widget.